I was gifted a voucher for a Dermalogica Core Skin Treatment at the Crystal Clear Aesthetic Skincare Clinic and went for the amazing facial a couple of weeks ago. I was so impressed with the treatment, I mentioned my experience in my ‘Friday Favourite #8’ blog post. In today’s blog post I will be telling you a bit more about my experience at Crystal Clear Skincare Clinic and what I learned about my skin. When I arrived at Crystal Clear Skincare Clinic I was welcomed by both my therapist and the owner, Marisha Pawlak. Faaizah (my therapist) and Marisha were so friendly and showed me to the room where I received my facial. First off, I was totally surprised to see a fabulous La-Z-Boy recliner chair in the room so I quickly changed into a wrap-around towel because I couldn’t wait to sit back in the chair. When Faaizah entered the room, I was already relaxing in my recliner. She then helped me put my feet up in the recliner, tied my hair back and wrapped a headband around my head. As mentioned in my previous blog post, this was the absolute best facial I have ever received (and I’ve been for quite a few facials in my day). Faaizah started with removing my mascara by using the Dermalogica Precleanse. She then continued to double cleanse and exfoliate my skin using Dermalogica products and a special steamer. The steamer blows steam on your face while the therapist is applying and massaging the products into the skin (all while you are laying back in the recliner chair) – it felt amazing! I will honestly go back just to get my face steamed again! The steam opens up the pores – this process ensures the pores are deep cleaned and also increases the overall health of the skin. She then started with extractions, and these were not as painful as I had anticipated (more uncomfortable). I had a few blocked pores on my forehead area, so those are the only extractions Faaizah did on me. She then followed up with a masque and while the mask was setting, she gave me the most incredible neck and shoulder massage – it really relaxed me to the point where I aaaaaalmost fell asleep. After about 10 – 15 minutes, the mask was removed and my skin was toned & moisturised. Words cannot describe how relaxing the whole experience was for me, especially since work had been quite stressful in the weeks prior to my appointment. ♥ I have dehydrated combination skin – there is a difference between dehydrated skin and dry skin. Someone with combo (and even oily) skin can have dehydrated skin because it has nothing to do with the amount of oil your skin products, this is all about how much moisture / hydration / water your skin contains. ♥ Drinking lots of water to help treat dehydrated skin, will not help because even though your skin is an organ, the water that you drink goes to all your internal organs first. So you need to hydrate the skin externally using skincare products specially formulated for this skin type. ♥ It is always best to double cleanse the skin – double cleansing can mean using a cleansing balm / cleansing oil / makeup remover wipe and following that up with washing the face. OR it can also mean just washing your face with the same product twice. Double cleansing ensures that all traces of makeup, oil and dirt is removed from the skin. ♥ Using a toner will balance out the skin, no matter what skin type you have (just make sure the toner is suited to your specific skin type). A toner will also remove any excess oil and prep the skin for your serum or moisturiser. ♥ Using an eye cream is essential – eye creams are formulated specifically for the delicate eye area. Using a normal face moisturiser could cause irritation, dryness and redness, especially if you are applying a lotion for oily / combo skin to that area. The under eye area is delicate and tends to be more on the dry side (even if you have aforementioned skin types), so applying a mattifying / oil-controlling lotion will definitely dry it out. I was totally spoilt by Merisha and Faaizah and received quite a few samples (suited for my skin type), I have been using these samples quite religiously. I have stuck to only using the Dermalogica products on my skin because I wanted to really see if using only these products would change the appearance of my skin. 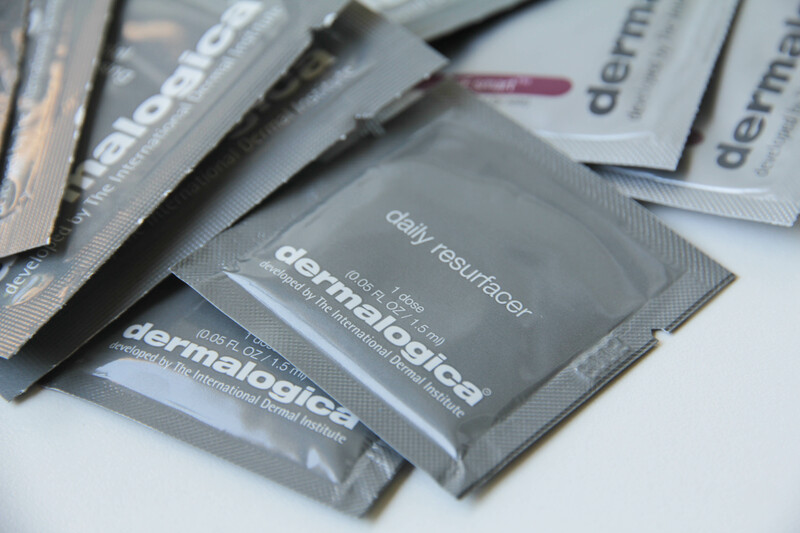 After finishing up almost all of the samples I received, I am proud to say – I am a total Dermalogica convert and will be purchasing the full-sized products. My skin was going through a pretty bad phase during the time I went to Crystal Clear Skincare Clinic and ever since I had my facial and used the Dermalogica products, my skin has improved quite significantly. I still get the occasional hormonal breakout but during my ‘normal phases’, my skin looks really good (I even leave the house without any makeup on from time to time!). 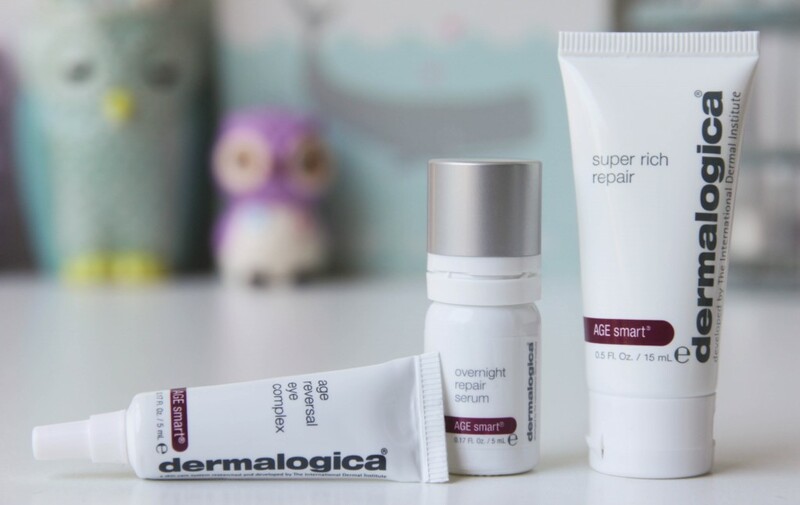 I am by no means telling you to go out and buy only Dermalogica products, and if the skincare products you are currently using are working for you – then great! 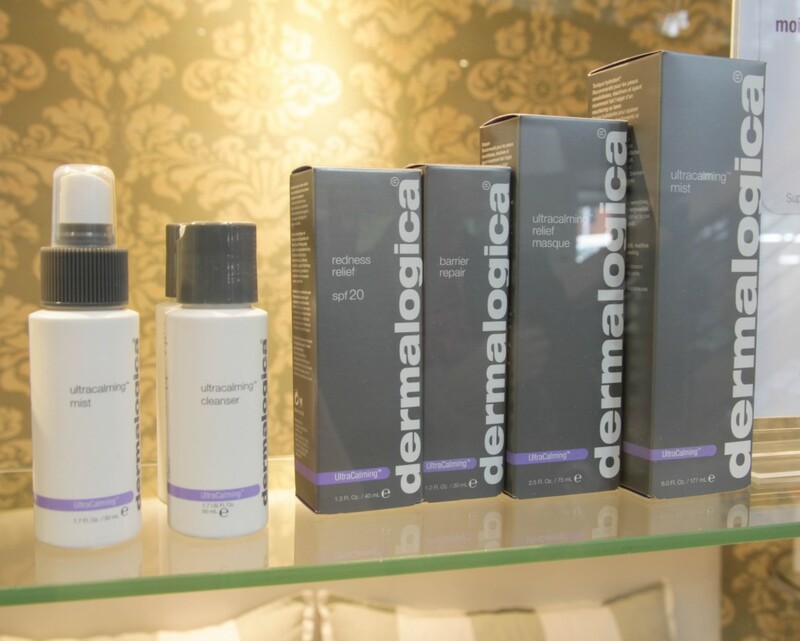 But I do suggest going for a Dermalogica facial – you will leave there feeling refreshed, relaxed and rejuvinated! I would like to thank Crystal Clear Aesthetic Skincare Clinic for the amazing treatment they gave me – I’ll be back soon! 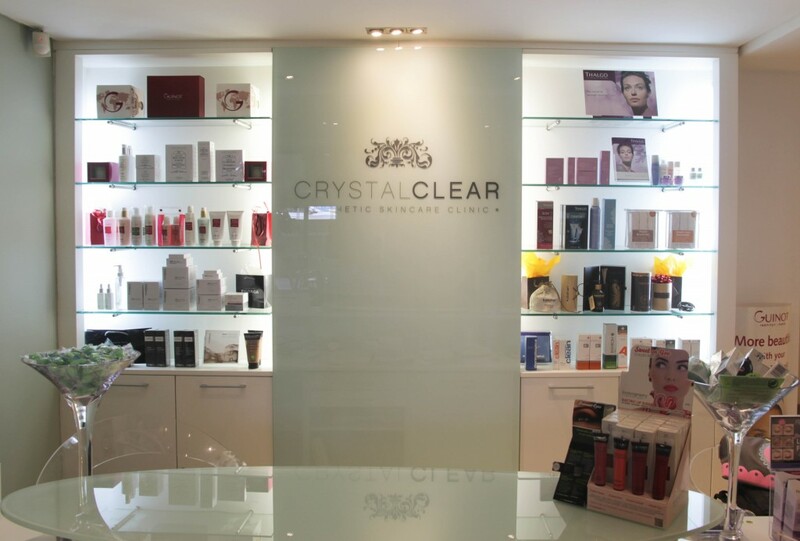 To book an appointment at Crystal Clear Aesthetic Skincare Clinic, check out their website here. Wow, I love the sound of this beauty salon! The recliner chair has me sold, I’ll be making an appointment with Crystal Clear soon. I agree, Dermalogica products are the best!!!!!!!! I have been a Dermalogica fan for a couple of years now and there are specific products that I will never replace with another brand. I really enjoyed the precleanse samples they gave me – mine is almost finished now, so I’m starting to make a list of all the products I need / want to go purchase. I’ve always wondered if Dermalogica products are worth the hype but now you have confirmed it for me. I’ll go for a Face Mapping skin analysis and see what products they suggest to me. I love the Dermalogica facials! I used to go for them more often but now you have encouraged me want to go for 1 again. My skin has definitely changed since the last time I had a facial, so will get the face mapping done too. Sounds like you had a lovely experience. I know I also have a dehydrated mature skin. Don’t like drinking water too much, but I am going to try this year to drink more water, especially in this hot weather we are experiencing at the moment!